As initially announced here, Tomei finally introduced their ultra lightweight Titanium exhaust and Y pipe for the 2003-2008 350Z. We just got one in recently, and wanted to be the first to show off the actual pictures. The initial impressions are awesome – the quality of the welds, the little details such as the etched logos, spring clips, and price, all combine to make this a terrific addition for the Z. No soundclips yet, as we’re still waiting on the headers to come in, so the engine can be installed, then to the body shop for paint (in other words, it’s gonna be awhile) but we will post installed pics and video as soon as we can. 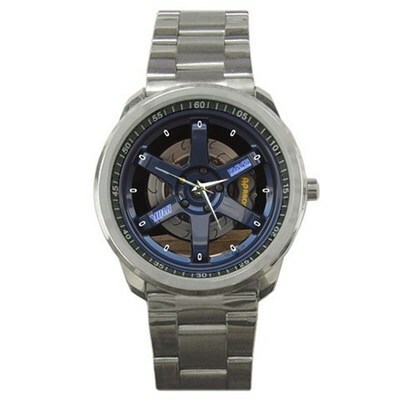 Straight from Malaysia: “Volk”…….Watches? Huh? When the car market is flooded by replica car parts, I guess it’s time for all the knock off factories to retool and start making knock off car part tchotchkies (pronounced Chotch-kie, for those of you who didn’t have a Jewish mother! Google it if you don’t know what it means). This one’s Magnesium Blue and even comes with an “AP Racing” brake kit behind it…..
Where to find it? Ebay of course. So back last year, Nissan unwrapped a Project370Z that their marketing people built, using commercially available aftermarket products. All nice stuff – Greddy twin turbo kit, KW coilovers, TE37’s, etc. It was shown off at ZDayz and got some online and print coverage in MotorTrend. It then became the center of an open casting call of sorts, for people to submit their entries online to MotorTrend, for the chance for their Z car to compete against the Project370 car. I’ve got my own ideas as to how they could have really made these contest stand out, but that’s for a separate post one of these days. Anyway, here were the 3 finalists. 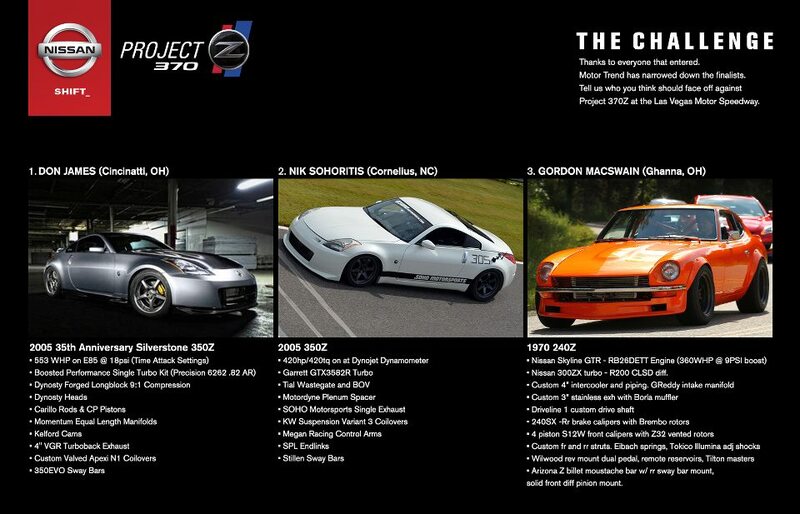 The car picked on facebook to go against the Nissan Project car was the 240Z. Stay tuned for the results – I have a feeling I know how it will end. Porsche knocks it out of the park yet again. It is stunning from every conceivable vantage point.